In using the Full Assessment, an organisation is providing a detailed written account of the policies and practices it pursues in response to the various responsibility issues that the R100 scorecards explore. Participants are free to choose the extent to which they use and share their information. Their outputs from using the Full Assessment can be used for internal purposes, within and across the organisation only. 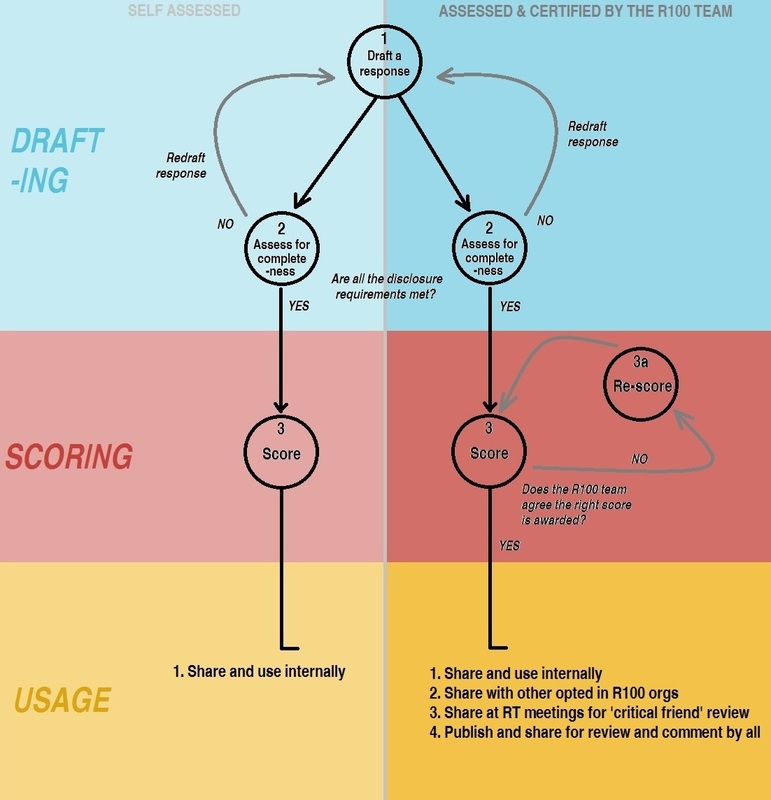 If an organisation wishes to share its information more widely, either with other opted in R100 participants, or by publishing its information and score publicly, then a few more steps are required, as set out in the diagram below.